In the list below you will be presented with ten public cloud storage options and it will give you more than 100Gb free cloud storage. With different features, many pro and cons you will find all the services to be entirely separate but useful. Key features that will differ in all are – the size of uploaded files, additional space as per pricing, OS it supports, mobile apps it has and the security features that are equally needed. 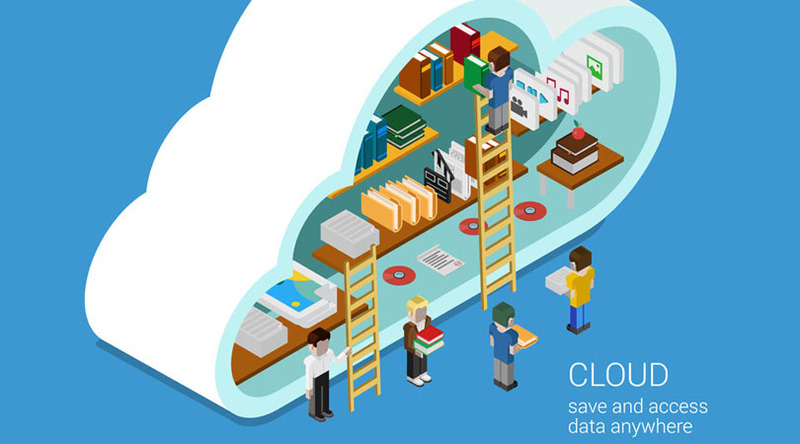 Amazon Cloud drive is an online storage place that is simple to access. It has 5GB of free storage space. The Amazon Cloud Drive stores automatically the music purchased and downloaded from Amazon for free. It has Kindle-branded tablets. Most Apple users have iCloud in their iPhones. It can synchronize your data like photos, videos, various files and even Web browsing tabs across Apple devices. It offers you 5GB for free storage. Apps such as Pages, Keynote, and Numbers are used for document management/synchronization. With services to clients for Linux and Blackberry along with usual Windows, Mac OSX, etc. Dropbox is the only such service. It also comes with an official Windows Phone app too. With its latest update, one can add the ability to sign PDFs easily with Dropbox along with few iOS related features like sharing documents in iMessage. Its Basic account comes with mere 2GB of storage. In the case of large documents, if you wish to store any media files such as photos, music or any video, the storage will disappear fast. You can also upgrade your account to the 1TB plan for just £7.99 per month. It provides 500MB of additional free storage for each friend you refer to sign up this service. It has a limit of 16GB. If you wish 1GB more then you should set up a Mailbox account any if you need additional 250MB, just take a tour of Dropbox basics. By enabling the camera upload feature, you can gain 3GB automatically along with the ability to save your smartphone photos on the cloud. With the creation of local folder on your device, Dropbox starts its work. It then syncs with the online version which means that you can have your data available to your no matter if you are online or offline. However, this doesn’t apply to mobile devices but you can still selected files available offline on a smartphone. Its files and folders can be easily shared with others, but in the case of Basic account, you won’t be allowed to set permissions which mean that the files can also be edited or even deleted by other users. If you are ready to get Dropbox Pro account, you can enable read-only permission along with setting passwords and expiration for all the shared links. Its security features consist of two-step authentication and all files to be held on the Dropbox servers with encrypted by AES 256-bit encryption. However, it does lack some features but still it’s a solid and compatible with various applications. Like the way OneDrive is linked to Microsoft products and the way iCloud with Apple, Google Drive provides the same service with different online services that Google offers and this service is among the best cloud storage services. With this, you get 15GB free space after creating Google account or with a link to existing account. You get Drive account in case you already use Gmail, Google Calendar or YouTube. With storage space distributed across all of these services, in case you have a big attachment to an email, then it would be counted in the 15GB and also enables automatic backup of photos to Google Plus from a smartphone which does it in the same way. It comes with two options in case of uploading videos and photos. The High quality is free, and it isn’t counted in storage. You can also go for Original and have all these photos and videos counted in your storage. With Google Docs, Sheets, Slides and others, you don’t have to count against your allocated storage space. In case you buy a Chromebook then you will get 100GB for free up to two years. It works with a local folder on your system which is linked with the duplicate cloud version. Real-time collaboration via Google Docs app is supported. It also comes with Android and iOS versions. With selective sync, you can select the folders you wish to sync with the PC or any laptop. Its interface of the apps is quite smart along with easier navigation with basic file tree presenting where your data is stored. It comes with 128-bit AES encryption rather than 256-bit provided by OneDrive or Dropbox. One Drive is quite a convenient cloud storage which is offered to many Windows users. Its basic account provides 15GB of free storage along with additional 15GB in case you link camera roll to this service. In case you have signed up for Office 365, you will get unlimited storage space. One Drive has provided everyone with 30GB of free space to keep it even after changes are made in 2016. With changes in 2016, new users will get 5GB of free storage. The subscribers of Office 365 will get 1TB of storage space. This service utilizes Microsoft’s Modern UI design. Users can select between traditional file tree or boxy style. Files and folders can be made on online along with Office and OneNote formats due to Office Online integration. With selective sync included with Windows 10, users don’t have to store all OneDrive files which take up space on every PC. It also comes with a social element in its web version since different social networks are linked to OneDrive account. However, it may not improve productivity but still make it easy for you to share files with your friends. You can give permissions for each user with options ranging from read-only to editing ability even when using the free version. It also comes with a feature which provides the ability to access files remotely through another PC via the use of OneDrive website. MiMedia offers an automated backup, the ability to play media files online, hands-off, and a cloud-based disk drive. It provides 7GB of free space. It has a reasonable price for 100GB for $49 per year and well-designed MiMedia. SpiderOak is the secure public cloud storage option. It follows a ” zero-knowledge.” It does not store passwords of customers; all customer data is encrypted during storage and also during transmission. During storage it uses a combination of 2048-bit RSA, 256-bit AES encryption and salted hashes. It offers partner/reseller, personal, and business versions of its cloud service. It gives 2GB of free space. The Box free cloud storage is older than Dropbox, since 2005. The Box focuses on enterprise-level solutions for larger businesses, but there are small scale and personal use free cloud storage is available. It has wide range of productivity-enhancing applications that support of the company’s corporate accounts. This is a France based company that provides extra privacy of their data and hence an excellent storage service with 25GB free storage. And if you give them referrals they will make your plan to 50GB storage. It has some great features and pretty interface, also containing multi-data synchronization. You can use their unique data backup feature that allow you to archive important files constantly. And they are in beta stages for Linux client, what more can you ask. Available on Windows, Mac OS X, Linux, iOS, Android , Windows Phone and premium paid plan is €1 per month for 100 GB storage. pCloud is a very secure cloud storage service that upload your data to three different locations and its secured over SSL/TLS protocol. They are so confident about their storage service that they are giving away $100k US if anyone can break their encryption. With features of unlimited file upload, automatic backups and sharing they provide 10GB free space and 20GB as a referral. Their 500GB plan will cost you $3.99 per month. Have anything to add to this post, please drop in your comments below. Those cloud storage services are good, but I prefer Backblaze. I’ve been trying Dropbox for a while now, it is pretty OK but I don’t like the upload speed of it. On the other hand, Backblaze is faster, very easy to use and it is having a good performance. Ozibox gives 100G free…it doesn’t have a mobile client right now, which I hope will be soon! I also hope they will improve their desktop client, but other than that, it is 100g!